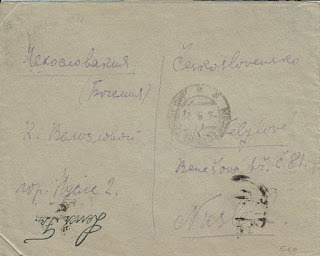 For most of the period from beginning of 1918 to end 1920, the Soviets held at least some part of the territory claimed by the Ukrainian National Republic. 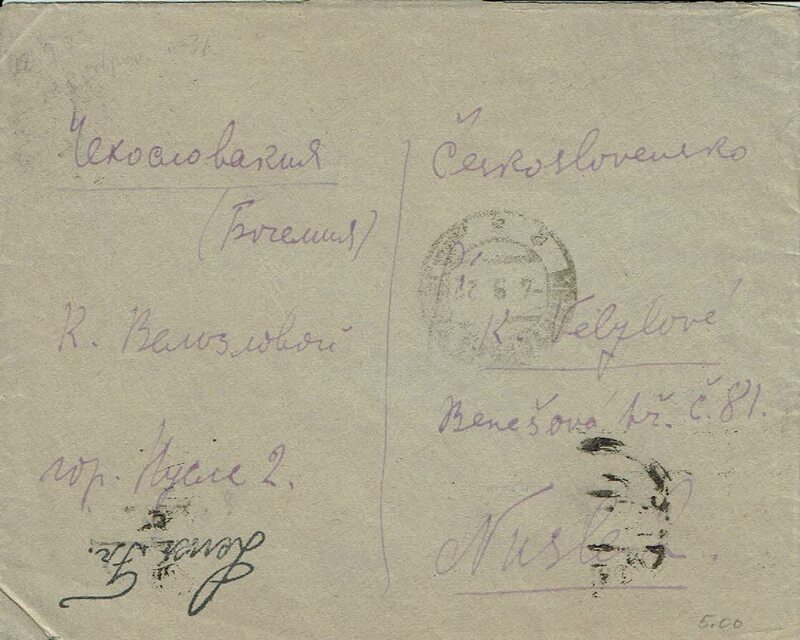 At the very beginning, from January to early April 1918 they held Kharkov / Kharkiv until it passed into German occupation. Then with the collapse of Germany and Austria-Hungary in November 1918, Soviet power re-asserted itself in Ukraine - notably, once again, in Kharkiv where it was the Volunteer Army rather than the forces of the UNR which overthrew it in June 1919. 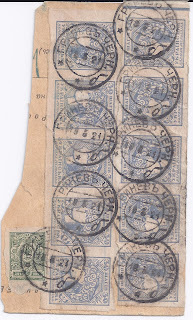 - in the UNR, unoverprinted Imperial stamps were invalid from 1 October 1918. 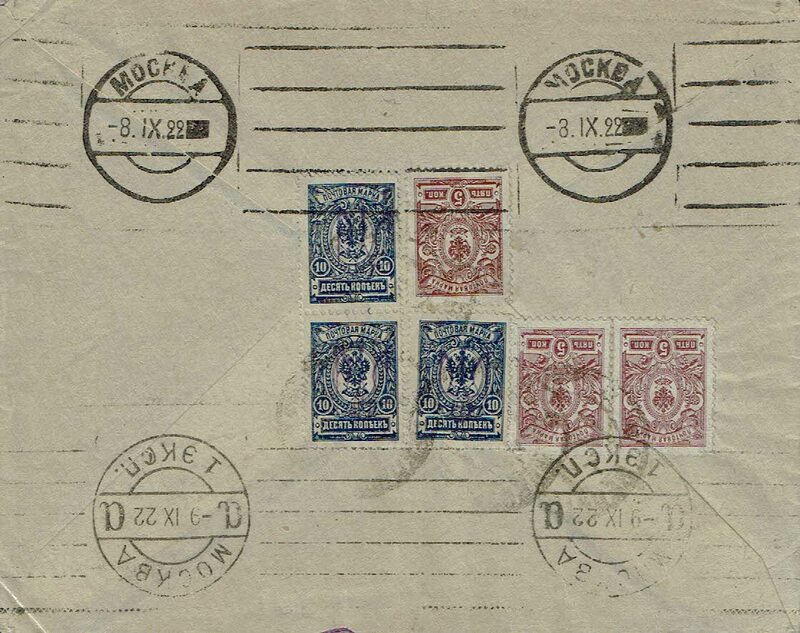 But unoverprinted Imperial stamps were the mainstay of RSFSR mail throughout the 1918 - 1920 period. 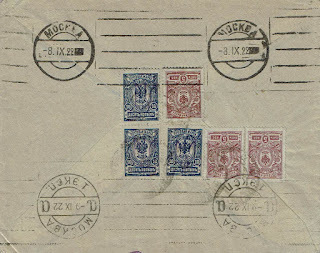 One notable aspect of Soviet mail in 1920 and through into 1921 - by which time the UNR Government was in exile - is that it uses Ukrainian General Issue and Trident overprinted stamps, but with the General Issue stamps and the Imperial low values up to 20 kopecks revalued x 100 in accordance with the March 1920 RSFSR revaluation. 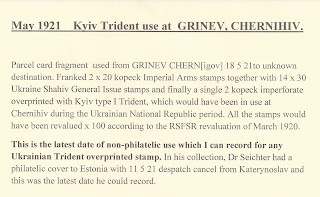 What I don't know is whether there was a formal invalidation of Trident stamps and,if so, when. 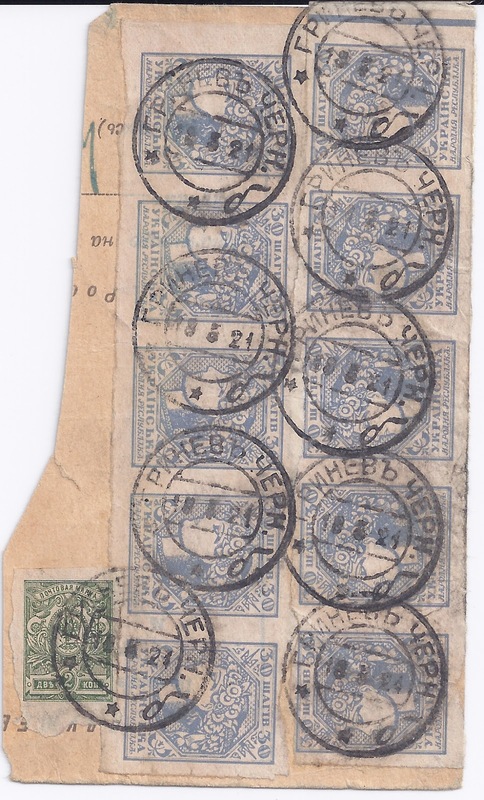 I have Tridents non-philatelically used on Soviet mail as late as May 1921 - see the example below. An "obvious" date for invalidation would be August 1921 when the new Arts and Industry stamps, and new Tariffs, came into use. 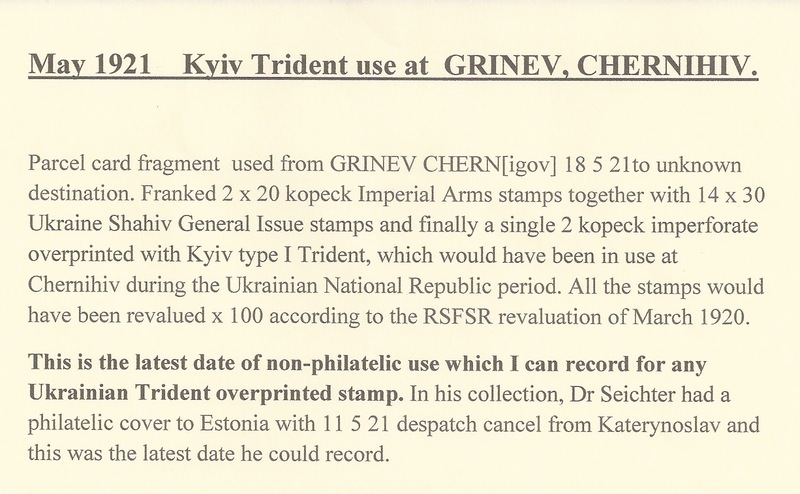 I can offer a later usage, but I'll leave it to everyone's judgment whether it's philatelic or not.